Crate Paper Flea Market + a giveaway! Hello! SO excited to be here today and share with you my thoughts on Crate Paper's Flea Market by Maggie Holmes. When this came out I was a little wary because it looked a lot like Maggie's previous line. For me that was great thing. I must say when I saw it in person, I was beyond thrilled! So let's get to it. -Can I say what I LOVED? All the gold foil touches are divine. I LOVE LOVE LOVE it!! -I really enjoyed the patterns of the paper. Such a good mix of them. -I especially liked the mix of the ephemera pack. FABULOUS! -The overlays are my FAVE. MUST HAVE! Nothing. Nadda. Zilch. The end. Bottom Line: Get it. All of it. You will not be disappointed. It is beautiful and stunning in all ways. What do you think? Is this collection something you would like to have or will it end up at the Flea Market? Leave a comment by midnight EST on Tuesday to be entered to win a Flea Market prize pack! US residents only and please leave a way to be contacted if you win!! I have to agree I love EVERYTHING about this collection!!!!! Love this collection. Crate does a great job with their designs. I loved the touches of gold also.The gold doilies are downright delicious. This collection is golden from the lovely florals to the fantastic touches of gold! 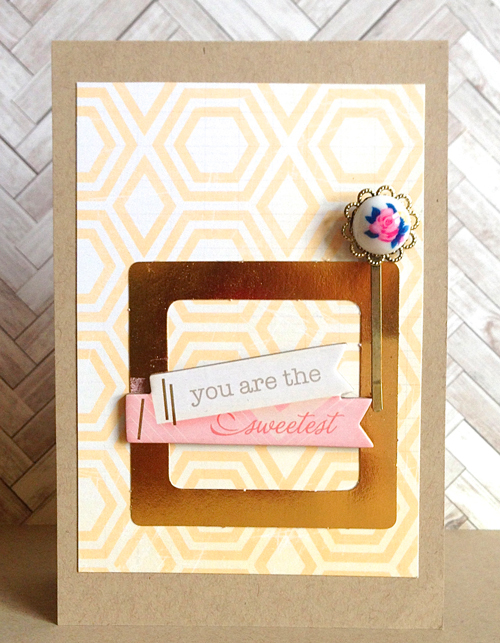 The canvas frame on your card makes my heart go all a flutter! Thanks so much for sharing and for the chance to win this amazing collection! I absolutely love it all! Maggie's collections are stunning! Gorgeous projects! This is a collection I would really love to get my hands on! Very cute! Love what you did with it! your cards are so pretty! The overlays and the gold are awesome! Such a great collection! Thanks so much for the chance! I definitely need more gold and frames in my life. Thanks for the chance to win! I would love to have this collection! Definitely on my wish list!!! What a totally gorgeous collection! Thanks for the opportunity to win! I love the gold in this collection too! Didn't know about the overlays. Weeelll, I love it all too but especially the COLOR and the GOLD! Oh, the possibilities! Thanks for the opportunity to WIN! Anything that Maggie Holmes designs is full of such great feminine details-just lovely! Lovely creations. The gold foil is a nice touch. I would love to win. My email is nathansmom7@gmail.com. 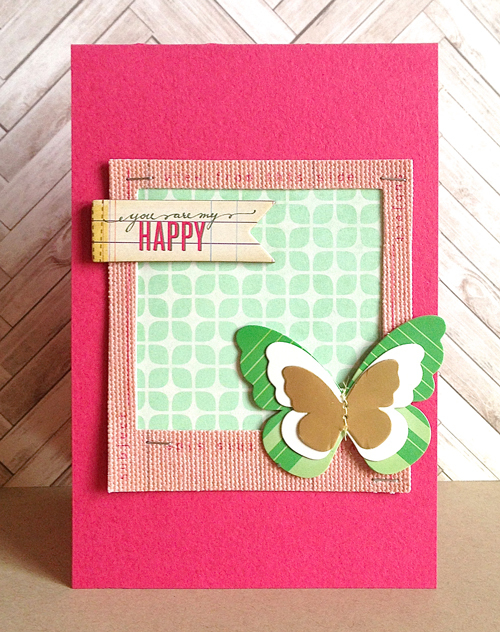 Crate Paper is one of my faves! I could definitely see myself using this collection with its pretty color scheme! Oh my, luv luv luv Maggie Holmes. What a spectacular give away. Keeping my fingers and toes crossed. OH i love everything about Maggie Holmes! Would so love to win this! Ohhh, I'm not too into bling, but I do like the gold! 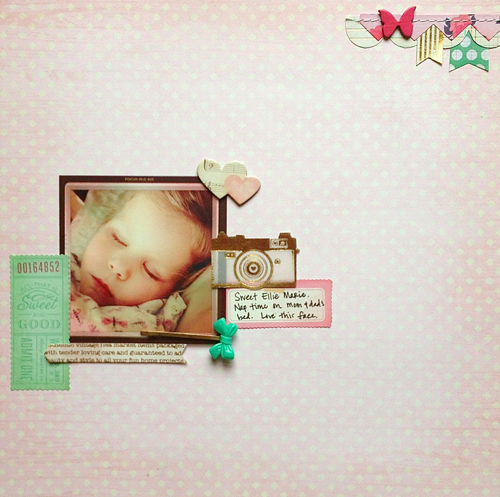 Love anything by Maggie Holmes, love your layout, so simple and sweet. This is such a pretty collection! I agree - LOVE the touch of gold!!! Love love loving the frames and the subtle prints that would go with everything! Whoops, forgot to leave my email address. kladd94803 (at) aol (dot) com. The frames, the overlays, the gold, it's all wonderful! Love this collection!